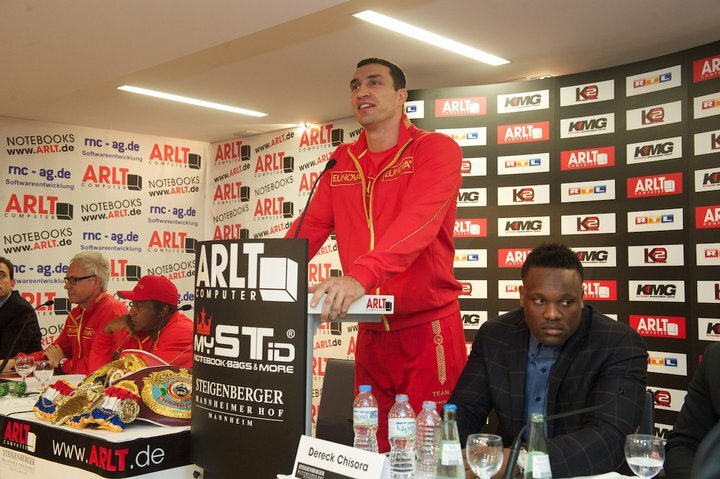 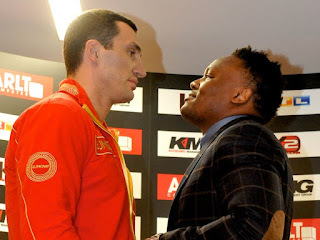 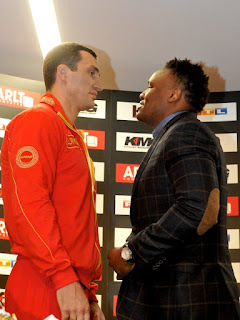 Today was the final press conference for WBO/IBF/IBO/RING heavyweight champion Wladimir Klitschko and challenger Derek Chisora ahead of their title fight this Saturday, December 11th. 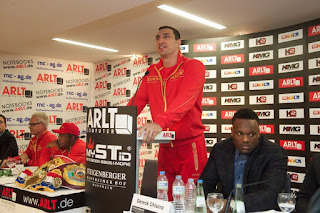 “I had a great training camp in Austria and cannot wait to step into the ring. 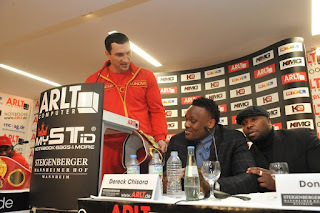 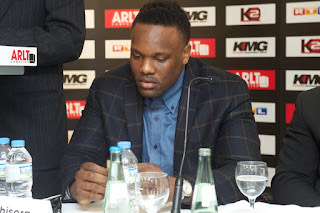 Chisora is unbeaten and determined, he is very skilled and very active in the ring. I am very well prepared and will definitely not underestimate him. “I will show him what it is like to fight on a championship level against a man in the ring. 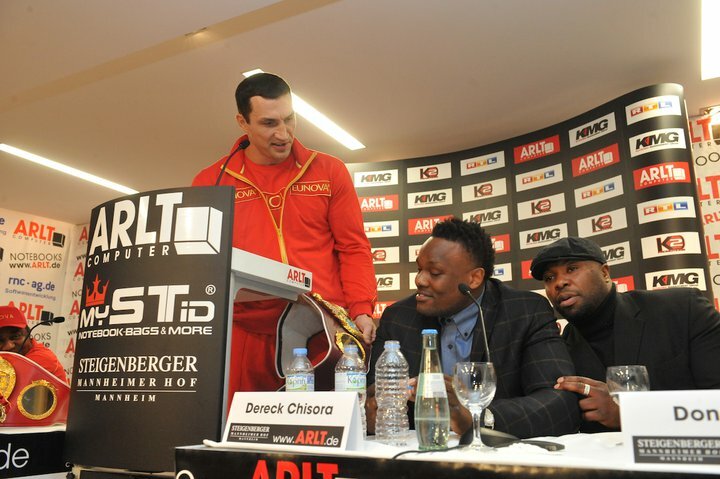 The fight will be shown live and exclusively on RTL in Germany. In the US, it will be aired on Saturday, Dec.11, 5:00 p.m. 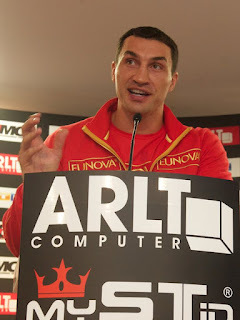 ET on ESPN3.com and re-aired the next day, Sunday, Dec. 12 at 2:30 p.m. 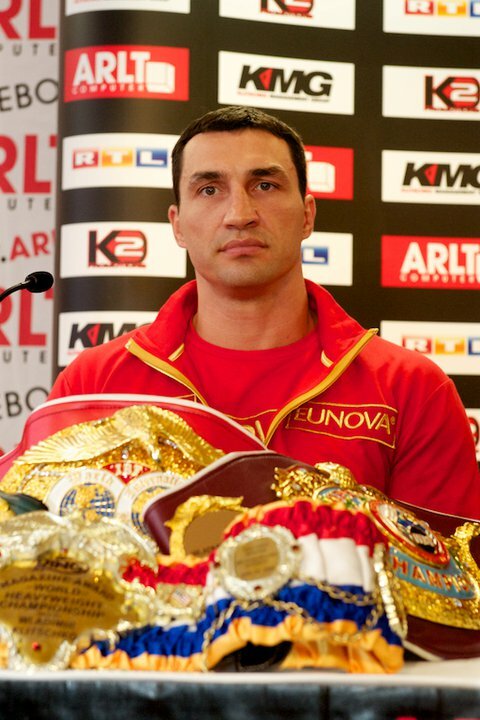 ET on ESPN. Sky Sports will carry the fight live on pay per view in the UK. 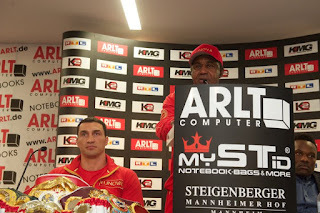 Here's some more of the press conference..